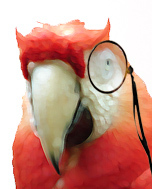 It has been quite some time since I started the Evil Parrot Book Club blog and it was only a few months ago as I was going through my email (that was assigned to the blog) I’ve noticed an upsurge of emails. At first I thought it was spam (ah spam, sweet lovely spam) and upon further reading I realized that … bloody hell, there are people reading … and LIKING my blog. I recently Googled this blog and found that someone had actually posted a certain review of certain book on the Facebook page of a certain author. It was a truly humbling experience. Now I know I haven’t responded in kind to each person, simply because my life schedule is hectic and not that I’m trying to be some wanker… sorry, mates. So for all you wonderful blokes out there that take the time from your (I’m sure) hectic life to read my blog … I thank you for your time. To quote the Immortal Sally Fields: “You like me … you really, really like me”. Thanks all: Creature With The Atom Brain, Freaky folk tales, bellnight, iamgeeker, Jules M., sharmistha basu, anibalan, mlatimerridley, lesleycarter, littlebookblog, wordzly, liz, Coco J. Ginger, Ode to Capitalism et al. Thanks again. And I’ll keep it coming. on April 26, 2016 at 11:32 pm | Reply larry h.
I am afraid that you have me confused with someone else. I’ve never written a book about Terry Lee Hawkins. Cheers !! !